Williams have explained why they have moved away from tradition in a bid to present a "revitalised" image ahead of the 2019 Formula 1 season as they target big improvements in form. The team's 2019 livery was revealed at their Grove base on Monday, with the new light blue, white and black colour scheme a big visual change ahead of a season in which Williams are aiming to rebound from a wretched 2018. 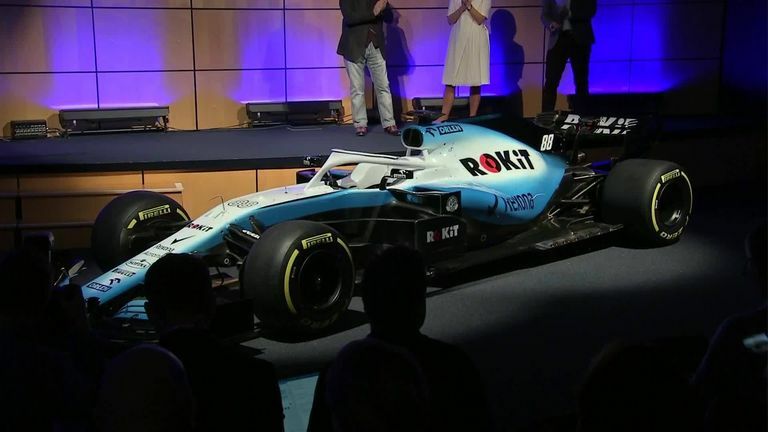 "From my perspective, I wanted a livery that told a story and told a story about where Williams is and the future that we believe it has," said deputy team boss Claire Williams. "A lot of people are aware that Williams' tradition colours are navy blue and white, but I wanted to move away from that and show the world that we're a fresh, revitalised brand. "Just sticking and reverting to our traditional navy and white didn't really tell that story. A Formula 1 car at the end of the day is your shop window to the world and I wanted to tell a great story and come out with a really vibrant livery. I feel that does that." A meagre seven points and last place in the Constructors' Championship made 2018 a year to quickly forget for the former multiple champions, with Williams admitting it was "soul-destroying" heading to races with little chance of scoring points. However, Williams says the team is determined to put things right in 2019. "We've lost pretty much nobody from our race team this winter and I think that shows the strength of spirit that we have within Williams - and everyone's dedication to getting it back [on track]," she said. While steering clear of setting specific targets, Williams says it is obvious that the team must move forward. "We never say our target is to be X, Y or Z, that's dangerous," she added. "But clearly our target this year is to make progress. We have to do that. In the short term we have to be targeting P4 again and then we have to work back towards getting those podiums."